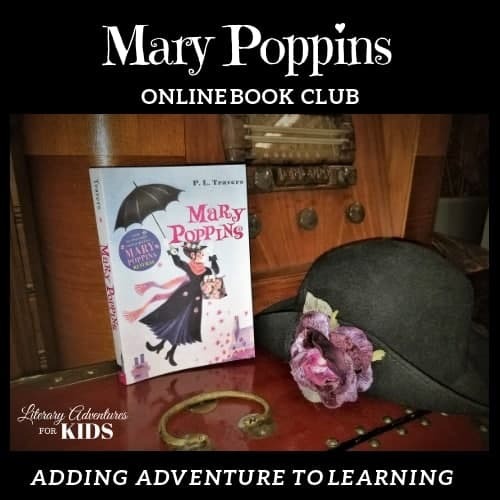 A self-paced online book course for the book Mary Poppins by P.L. Travers. **This is an online course. You will NOT receive a physical product. 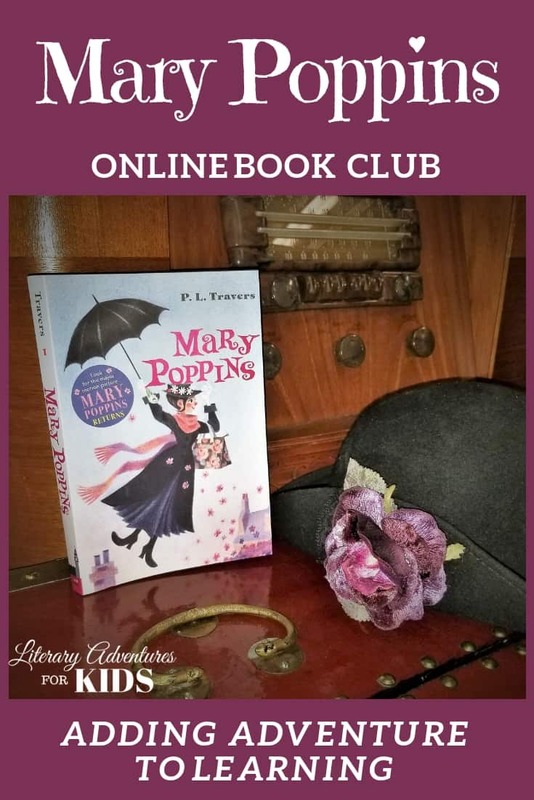 In this course, Mary Poppins Online Book Club, we will read through the book Mary Poppins by P.L. Travers. As we are reading, we will go on rabbit trails of discovery into history, science, language, currency and more. We will find ways to learn by experiencing parts of the book through hands-on activities. At the conclusion of the story, we will have a tea party to celebrate the magic of Mary Poppins. Join us on an adventure into this fantastical tale about the wonders of childhood. Would you like a preview? Just click the link below to take a peek inside the book club. What ages of children is the book club for? The book, Mary Poppins, has topics that would appeal to elementary through middle school. After you make your purchase, you will receive an email link to the course. You will need to create a username and password, if this is your first course. 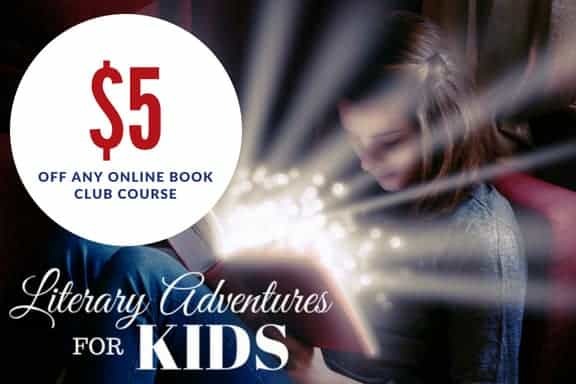 After enrolling, you have unlimited access to this course for as long as you like - across any and all devices you own for the lifetime of Literary Adventures for Kids. Can my child work through this independently? Yes, this course is designed for children to complete mostly independently. However, there are parent notes throughout for projects and videos. I recommend parents review the course before their children begin. Can this be used for more than one child or as a family book club? Absolutely! We are a homeschooling family, and we encourage all our children to participate in book clubs. Often we will read the book together as a family read-aloud and then work through the rabbit trails and magic dust together. What supplies will we need? You will need the book, Mary Poppins. You may also want a notebook for notes and vocabulary. The project supply list is provided at the beginning of the course. You may choose which projects you will want to do. What are the dates of the book club? This is a self-paced course. There are no starting or ending dates. Feel free to use at your leisure. How long should this book club take my child? The book club is set up on a lesson by lesson basis. It can take as much or as little time as you and your child feel you want to spend. That said, the original design is for a one-month book study. However, I recommend you choose which projects will be a good fit for your child and not feel obligated to complete all lessons. Can I use this course with my co-op or school? Yes. Please contact me at [email protected] for information about school and co-op licensing. What if I don't like the course? We understand that not every book or course is the perfect fit. Due to the digital nature of this product, we are limited in how long we can offer a refund. If you don't find that the course fits for your family, please let us know within 5 days of purchase for a full refund. After that time, we will not be able to offer a full refund. Mix and Match Bundle – Buy 3 Online Family Book Clubs for Kids and Get 1 Free! I'm giving you a $5 coupon to apply to ANY family book club. Just sign up below to be taken to the code.